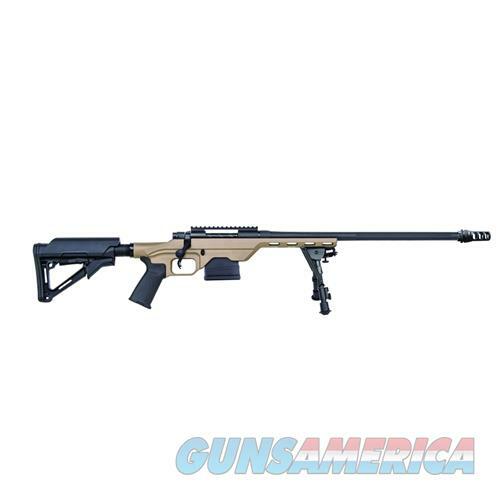 Description: Model MVP LC 6.5 Creedmoor 22 Inch Medium Bull Fluted Threaded Barrel With Muzzle Break Adjustable Magpul Stock Tan Chassis Black Furniture 11 RoundTarget rifle with the MDT LSS lightweight aluminum chassis and Magpul CTR adjustable stock. Equipped with MOE pistol grip and ten round P-Mag. Fluted, suppressor-ready threaded medium bull barrel with picatinny rail. No sights. Removable SilencerCo Saker Trifecta muzzlebrake/QD mount and barrel thread cap is included. LBA Lightning Bolt Action adjustable trigger from 3 to 7 pounds. Oversized bolt handle. Compatible with AR15 and LR308/SR25 magazines. Includes bipod and gun lock. Tan chassis and black furniture.Barrel Length: 22Made In The USACaliber: 6.5 CreedmoorTactica: TacticalCapacity: 11Finish: Matte BlueThreaded Barrels: Threaded BarrelCaliber-Gauge: 6.5 CREEDMOOR***Please allow up to 5 days handling time for this particular firearm.